Our 2012 Poetry Contest for Canadian Library Month! October is Canadian Library Month! This year’s theme is “Libraries Connect”. 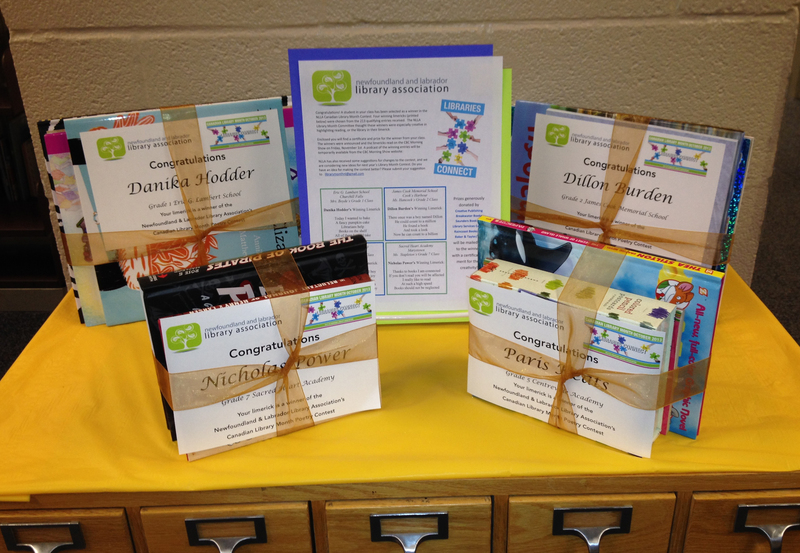 The NLLA distributed Canadian Library Month posters and bookmarks to schools and public libraries in the province and sponsored a province wide Haiku Poetry Contest. We received over 550 entries from students from kindergarten to grade 12 who composed haikus inspired by the theme” Libraries Connect”. A haiku is a form of traditional Japanese poetry that, when composed in English, typically consists of three lines of 5, 7, and 5 syllables respectively.